Florida Real Estate: The Annual Delray Affair This Weekend April 8-10, 2016! The Annual Delray Affair This Weekend April 8-10, 2016! It's the Delray Affair in Delray Beach! The upcoming event takes place April 8-10, 2016 and expect record crowds again! 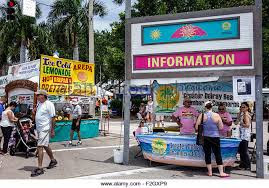 Visit the Delray Affair as you meander the streets of The Most Fun Small Town in United States! The Delray Affair is the largest arts and craft festival in the Southeast United States. The event takes place along the palm tree lined downtown streets of Delray Beach and stretches 12 city blocks from the Intracoastal to NW 2nd Avenue. The Delray Affair has received numerous awards for its ‘eclectic’ mixture of fine art, great crafts and funky products from around the world. Last year, artists and crafters from 30 states and twelve countries exhibited at the Delray Affair.Free fun for the family featuring 30 arcade games. Games On The Go combines classic arcade games such as Ms. Pac Man, high tech interactive touch screens and driving games like BatMan and Need for Speed. All games are rated “E” for everyone and there are no shooting or violent games. Over 500 vendors featuring hand-crafted arts and crafts, fine arts, great food! Waterfront Home For Sale In Jensen Beach!